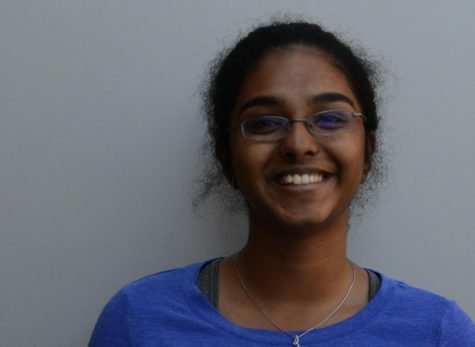 Akshaya Kumar is a junior who wishes she was back in elementary school. She is a member of the debate team and does Mock Trial. When she’s not arguing with people about current issues or in a courtroom, she enjoys playing piano and tennis. Afternoon naps, rainy days, and her dog Charlie make her the happiest. This is her first year on newspaper staff.